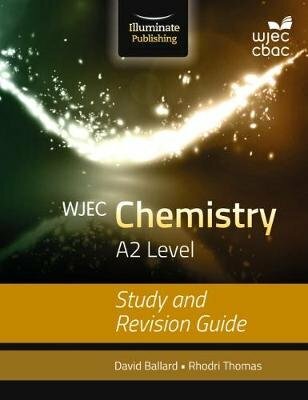 Endorsed by WJEC, this Study and Revision Guide supports the WJEC A2 Level Chemistry specification. Written by experienced teachers and examiners, it provides essential underpinning knowledge to recap and revise as well as supporting the development of skills you need to correctly interpret and answer the new exam questions. / An exam practice and technique section offers advice on how exam questions are set and marked. / Plenty of practice questions are included with teacher commentaries. / Grade boost tips help refine exam technique, improve grades and avoid common mistakes. / Numerous diagrams clearly explain each concept. / Pointers focus on understanding and using the underpinning knowledge. / Key terms are clearly defined on each page. / Quickfire questions check and reinforce your understanding.